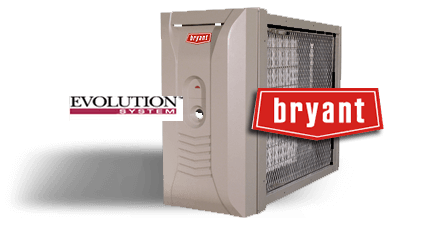 Bryant’s Evolution Series Perfect Air Purifier is one of the finest central air purifying systems on the market today. It incorporates a hybrid design between a high grade disposable filter and an electronic air sanitizing system. The electronic germicidal technology kills airborne pathogens such as bacteria, viruses, and mold while the media filter removes particulate as small as 0.3 microns. Additionally, the system runs silently and nearly no maintenance is required (replacing the filter periodically is all the system needs). This same technology is trusted to protect secure government facilities and hospital room patients. This is air purification excellence.